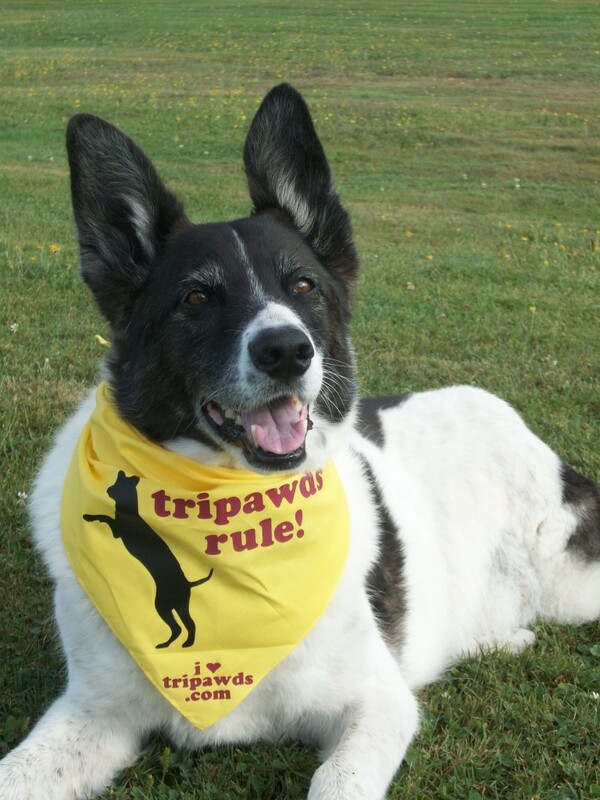 Agile Cow Dog Maggie was a long term canine cancer survivor and huge inspiration for Tripawds everywhere. 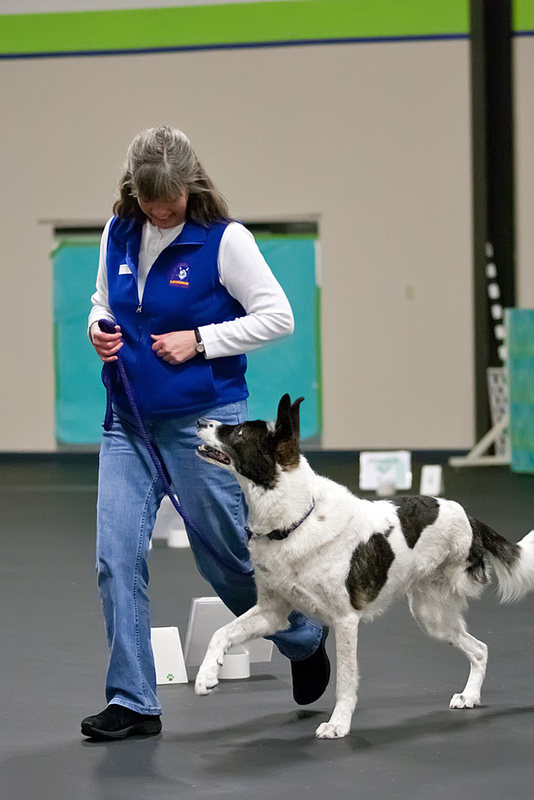 Maggie was a retired agility dog, who continued to remain fit and love life on three legs while helping other Tripawds and their people learn how to do the same. Her mom Tracy (aka Tripawds Member: maggie) frequently posted photos and videos from the conditioning exercises and Wag-It Games they did together. 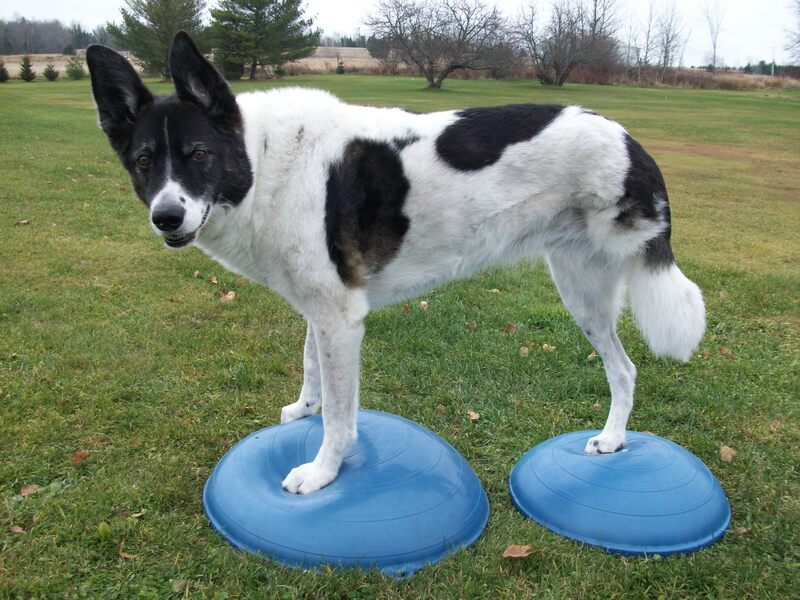 In fact, it was Tracy who first informed the Tripawds community about the benefits of rehab exercises and introduced us to FitPAWS® canine conditioning equipment. If it weren’t for Miss Maggie Moo, and her mom Tracy, we would likely never have become so passionate about stressing the importance of rehabilitation for new amputee dogs—and Wyatt Ray probably wouldn’t be as fit as he is! They were the main inspiration behind the second Tripawds e-book, Loving Life On Three Legs, which is filled with tips for keeping three legged dogs fit and strong. 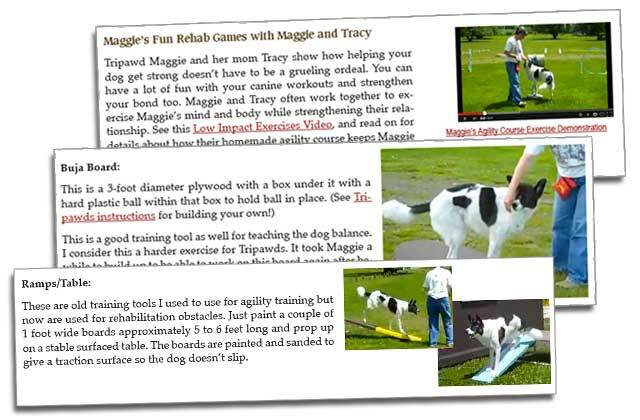 Much of the book’s most helpful content—exercise tutorials, how-to videos, FitPAWS demonstrations, even instructions for building and using your own mini obstacle course—came directly from Tracy. Thanks to the support of members like you, the Tripawds Foundation created this fund to help spread awareness about the importance of rehab for three legged dogs and make consultation with a certified rehab practitioner more affordable. 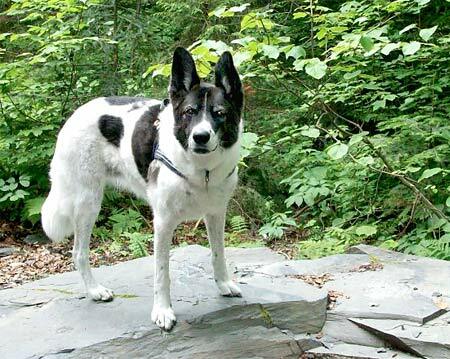 Since Maggie was such a shining example of Tripawd Fitness, we wish to memorialize her by naming the fund in her honor. Read rehab visit reimbursement requirements here! Visit a certified canine rehab practitioner for an initial evaluation. Submit your receipt within 30 days of the visit. Provide a short written report about your experience with a couple photos. Please read our original announcement for complete details and submission guidelines for reimbursement. Then find a CCRT or CCRP near you and schedule your first visit today! The first five recipients of the Maggie Moo Fund reimbursement for a canine rehab visit will receive a free copy of Loving Life On Three Legs—Canine Fitness and Conditioning for Happy, Healthy Tripawds. Schedule your appointment soon! Thank you Karen! 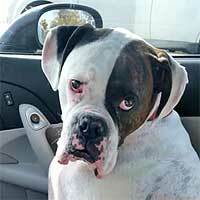 Now we need to get the word out to tripawds in need of rehab!! How awesome. Tracy you & Maggie are a great inspiration. I am so glad this happened in honor of her. Sumac we have no doubt that you too played a big role in Maggie’s very fit life on three legs. Thank YOU for all you do to make life better for dogs, especially those with challenges. Thank you Sumac for creating the Heart Dog program! So many dogs will benefit and still be able to compete! Wag It Games ROCKS!